In South Africa the volume of recycled plastic material grows annually, with 334 727 tons recycled into raw material last year according to the National Plastics Survey 2017 by Plastics|SA. 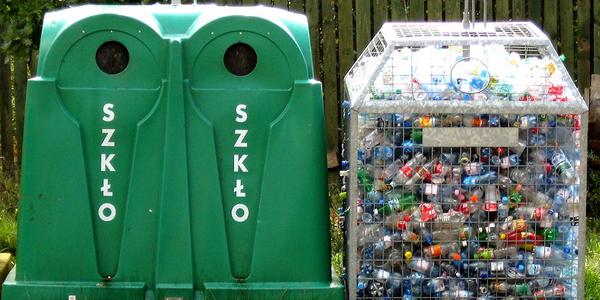 While plastic recycling efforts have an immediate impact on the environment in terms of the pollution that is reduced Rory Murray, Marketing Director at Tuffy Brands, says there is more to recycling plastics than that. The National Plastics Survey 2017 shows that last year the recycling of plastics sustained 5 837 formal jobs in recycling factories, but it is estimated that through the supply chain 52 300 workers received an income because of it. This includes self-employed waste pickers and employees of smaller entrepreneurial waste collectors. “In South Africa we currently have an input recycling rate of 43.7 % for all plastics, which shows that the largest percentage of plastics are not recycled,” says Murray. Murray says that understanding recycle symbols of plastic items will make recycling for consumers, waste pickers and sorters, much more effective. He explains that most responsible suppliers use the International Plastic Coding System that indicates the recyclability of plastic products. A triangle or a triangular loop (also known as the Mobius loop) with a number, from 1 to 7, is typically on the side or bottom of a plastic product. Turning to which plastic is the best Murray notes that the best plastic is by and large the one that can be re-used. “Many plastic products are now designed for their recyclability, which means the product has a continued lifespan. It can be reconstructed again and again, so it doesn’t end-up in landfills and continues to support job creation in the recycle chain,” he adds.